The majority of Sequim residents polled in a telephone and online survey — both users and non-users of the Sequim Aquatic Recreation Center — had positive responses to a possible YMCA/SARC partnership. That’s the summation from Kyle Cronk, CEO of the Olympic Peninsula YMCA, after reviewing results of a survey conducted in October by the Spokane-based Strategic Research Associates company. Read the summary report: Olympic Peninsula YMCA Community Survey Results Summary. Read full news article here. 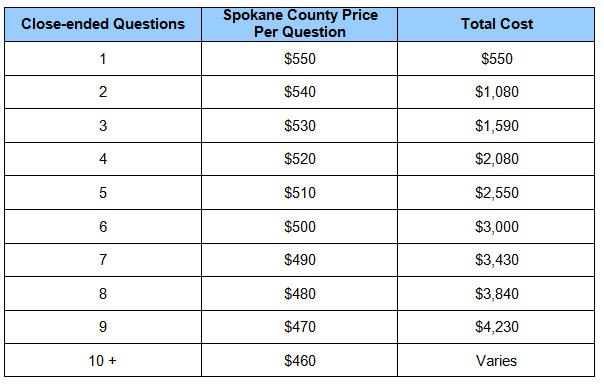 Want to survey Spokane County residents on a budget? Previous post Do you work in the direct to store delivery industry?